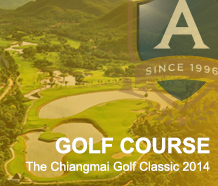 Chiangmai, Thailand, November 16: Rashid Khan of India produced a gutsy performance to win his second Asian Tour title by one-shot at the Chiangmai Golf Classic presented by PTT on Sunday. Khan started the final round two shots behind overnight leader Thanyakon Khrongpha of Thailand before rallying on the back nine to defeat the Thai and countryman Jyoti Randhawa at the US$750,000 Asian Tour event. 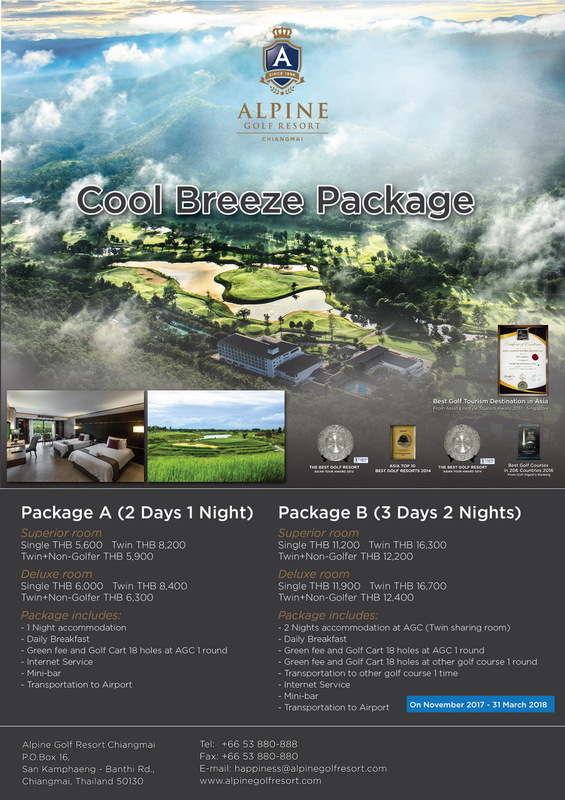 The 23-year-old fired a four-under-par 68 highlighted by four birdies on holes nine, 10, 12 and 14 for a winning total of 17-under-par 271 at the majestic Alpine Golf Resort Chiangmai. Thanyakon three-putted for bogey on the 16th hole to slip out of contention. But a birdie on the last for a 71 earned him a tied second place finish alongside Randhawa, who settled for a 69 after missing a 20-foot birdie attempt on 18 which would have forced a play-off. Reigning Asian Tour number one Kiradech Aphibarnrat of Thailand took solo fourth following a 69 while Major champion Jason Dufner of the United States finished in tied seventh place after firing a 66 for his best score this week. “This win is really special because it is my second win this year and first outside of India. I was looking at the leaderboard and everyone was making a move. But I had faith in my game so heading into the last few holes, I was very confident I could win the tournament,” smiled Khan, who won US$135,000. He was three shots back after Thanyakon opened with a birdie but Khan showed true character on his homeward nine where he seized the lead for the first time following a birdie on 12. He gained another shot on 14 but it was a crucial 15-foot par save on hole 15 which proved to be the turning point. “I found the bunker on the 15th hole. I had a shot but it was a tight line. It was very important because I only had a one-shot lead going into the 18th hole. That par gave me a bit of boost because I needed to maintain my one-shot lead. The last three holes were very exciting!” he explained. Thanyakon, a two-time Southeast Asian Games medalist gold medalist in the team golf event, was disappointed with his three-putt bogey on 16. He took consolation that his runner-up finish earned him a Tour card for the 2015 season as he moved to 29th position on the Order of Merit. “I three-putted and it came at the wrong time. But overall I’m very proud with my performance. I was a bit nervous after the turn but a birdie on 13 made me feel relaxed. I fought hard out there but Rashid deserves this win,” said Thanyakon. Randhawa, an eight-time Asian Tour winner, put pressure on his young countryman when he posted a pair of birdies from the 14thhole. He was disappointed to miss the birdie on 18 to force extra time. have to keep up with them! I’m looking forward to it and I’m glad that I’m there and a threat to them,” said the 42-year-old Randhawa. 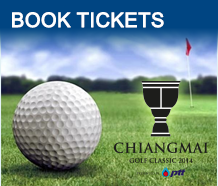 The Chiangmai Golf Classic is supported by PTT Public Company Ltd, Advanced Info Service Plc, Toyota Motor Thailand Co.,Ltd., Siam Commercial Bank PCL, Tourism Authority of Thailand, Provincial Government of Chiangmai, Chiangmai Provincial Administrative Organisation, The Northern Golf Resort Association, Alpine Golf Resort Chiangmai, Thai Beverage Public Company Limited, Italian-Thai Development PLC, Advanced Information Technology Public Company Ltd, Sport Authority of Thailand, CAT Telecom Public Company Ltd, TOT Public Company Ltd, Fenix Apparel and Accessories Co. Ltd., Ricoh (Thailand) Limited, Diageo Moet Hennessy Thailand, Panasonic Siew Sales (Thailand) Co. Ltd., Jebsen & Jebsen Technology, Hytera Communications Corporation Limited, Oakley, Furama Chiangmai and Standard Tour Co.,Ltd. 271 – Rashid KHAN (IND) 68-69-66-68. 272 – Jyoti RANDHAWA (IND) 68-65-70-69, Thanyakon KHRONGPHA (THA) 69-65-67-71. 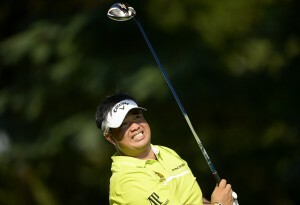 274 – Kiradech APHIBARNRAT (THA) 69-70-66-69. 275 – Mithun PERERA (SRI) 70-70-67-68, Kalem RICHARDSON (AUS) 71-69-64-71. 277 – Jason DUFNER (USA) 69-69-73-66, Danny CHIA (MAS) 74-68-68-67, Jbe KRUGER (RSA) 73-66-68-70, Scott BARR (AUS) 68-69-67-73. 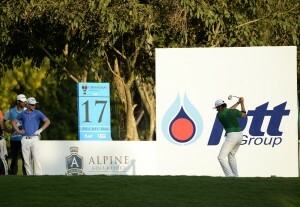 278 – Panuphol PITTAYARAT (THA) 68-75-66-69, HUNG Chien-yao (TPE) 71-68-66-73. 279 – Namchok TANTIPOKHAKUL (THA) 71-70-68-70. 280 – Sutijet KOORATANAPISAN (THA) 70-69-71-70, Brett MUNSON (USA) 73-70-67-70. 281 – Miguel TABUENA (PHI) 70-72-71-68, Javi COLOMO (ESP) 73-72-68-68, Chikka S (IND) 69-72-71-69, Paul PETERSON (USA) 70-70-71-70, Scott HEND (AUS) 72-69-70-70, MO Joong-kyung (KOR) 69-69-72-71, George GANDRANATA (INA) 66-72-72-71, Terry PILKADARIS (AUS) 70-71-69-71, LIN Wen-tang (TPE) 69-71-69-72.